Today in Masonic History we present The Dying Hope by Rob Morris. Preface - This poem was written by Robert Morris about Algernon Sydney. 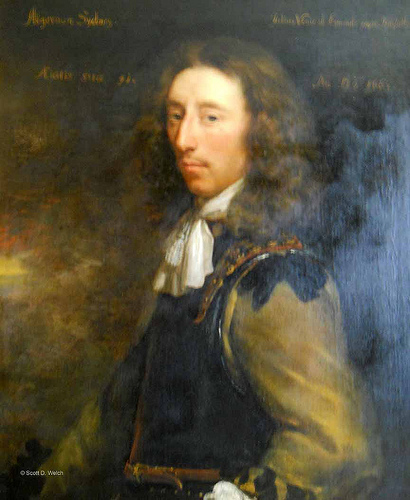 Algernon Sydney was a British politician during the 17th century. His book Discourses Concerning Government was viewed as treasonous against King Charles II. He was tried, convicted of treason, and sentenced to death. At his execution he willingly knelt down and placed his own head on the block. According to custom the executioner asked him "Sir, will you rise again?" Sydney replied "Not till the General Resurrection! Strike On!" Sydney's book became an inspiration for the American Revolution. It is not clear if Sydney was a mason, Morris more than likely wrote the poem about him due to his tie with the forming of the United States. In the land where the tyrant shall forfeit his sway. They spoke of a victory grand and complete;. From the worm and the darkness of nature STRIKE ON!" From the worm and the darkness of nature! Strike On! Then cheer, Brothers, cheer! for why should death alarm us! A glorious reunion thro' Jesus the King! From the ,worm and the darkness of nature! Strike On!